Home » All Blogs » Dentist's Tips » Why X-Rays Won’t Kill You & Why They Might Save your Teeth. X-Rays have come a long way since 1895. Today they are a primary diagnostic tool in all areas of medicine, including dentistry. We regularly hear concerns from patients about the perceived negative impacts of x-rays. Beyond the temporary discomfort, the most common question we get is about the need for x-rays and the potential effects of the associated radiation. Q: Why are x-rays necessary? A: We only take x-rays when necessary. They help us see potential problems that we can’t see visually. For instance, a bite-wing x-ray can detect cavities between the teeth or potential bone loss in the jaw. A periapical x-ray (also called a P.A. x-ray) checks the root tips of the teeth for infection, cysts and tumors. Your dentist might suggest a panoramic x-ray every three to five years. This checks the entire mouth and surrounding structures such as the sinus cavities and the Temporomandibular Joint as well as all oral structures. As such, we recommend x-rays are taken at least once per year or as symptoms might indicate. Q: Will the radiation hurt me? A: First, know that there are many other forms of radiation in our daily lives from natural sources that are far more impactful than the small dose of radiation associated with dental x-rays. The maximum dosage for US radiation workers is 50 Msv annually. Dental, bite-wing digital x-rays deliver 0.02 Msv as a point of comparison. Natural sources contribute 150 times the amount of radiation as a digital bite-wing x-ray. A single flight from LA to New York exposes passengers to double the amount of radiation of a digital dental x-ray. Q: Are digital x-rays better or worse? A: Digital x-rays are a far superior tool for diagnostics. And, from a radiation standpoint (if that is still a concern after reading the above point) digital X-rays are about one-half the radiation of traditional x-rays. 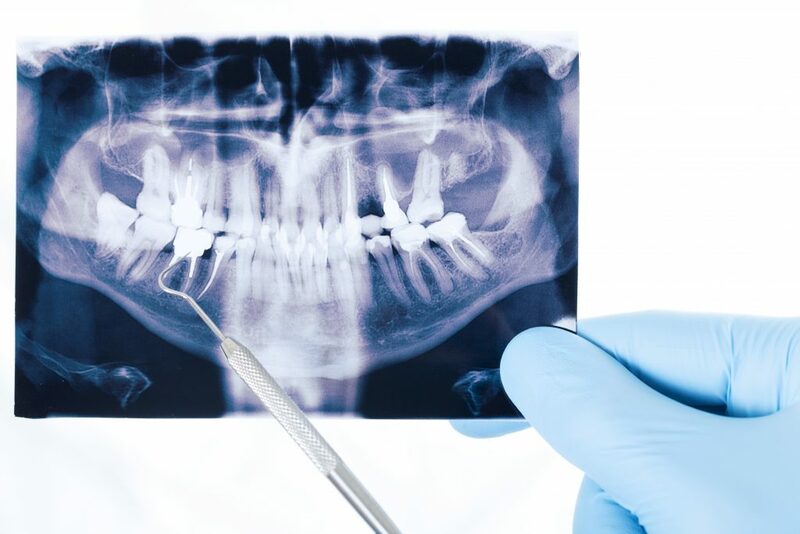 So, next time you are at the dentist, recognize that the benefit of dental x-rays far outweighs the temporary discomfort and almost non-existent risk.